Kindle Post US interviews Leigh Bardugo. Jo Fletcher Books interviews Rachel Pollack. JeanMarie Ward interviews Gail Z. Martin. Wag The Fox interviews Jad Ziade. The Qwillery interviews James Walley. Zombie game series Dead Rising is being turned into a movie. Batman co-creator Bob Kane to get Walk of Fame star; critics react. Kari Sperring on Living as a woman in a science fiction future. Lisa Medley on Reaper Rules: The Basics & win Reap & Repent. Cory Doctorow on How Amazon is holding Hachette hostage. Jon Wallace on Writing Real Women. Clifford Beal on The story behind The Ravens Banquet. Larry Ketchersid says Tad Williams is Ruining his Calm. Andrea Johnson on The Madonna and the Starship by James Morrow. Stellar Four (Sara N.) on The Girl With All the Gifts by M.R. Carey. Stellar Four (Kathy F.) on Some Fine Day by Kat Ross. Bookworm Blues on Books I’m Eyeing. Diabolical Plots on The Best of Toasted Cake 2013. Pornokitsch on 5 Trips to the Moon. 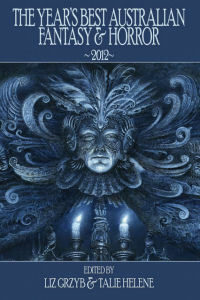 John Picacio: 2014 Hugo Award Nominated Artist Spotlight. The Art of Scott Robertson. The Marvel Character Portraits from Mike Mitchell. Godzilla Concept Art by Kan Muftic. Maleficent concept art by crow84. The Vault of Dreamers (Excerpt) by Caragh M. O’Brien. 50 Page Fridays: Elizabeth Moon. Buffy The Vampire Slayer Pop Vinyl Dolls. Alien: The Nostromo Collection Vinyl Figures. Mr. Bane – A Dark, Demented Comedy Of Errors.